Making a Murderer is a documentary exploring the case of Steven Avery, a man who spent 18 years in prison for a crime he didn't commit. After his release, it wasn't long before murder charges were brought against him and he was sent back to prison for life. Created over a ten-year period, Making a Murderer posits that Avery may have been framed and once again wrongfully imprisoned. The documentary has been the subject of much discussion since its release, with many coming forward to criticize the documentary for perceived biases. 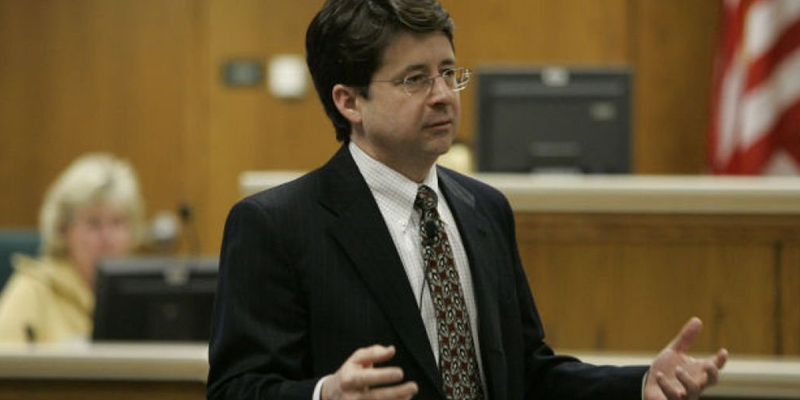 Dean Strang, one of the defense attorneys for Steven Avery during the murder trial, has spoken out against critics of the documentary. "The movie gives a very lavish, three hours plus to one trial [that] went over 200 hours. If the prosecutor and the police are really secure in the convictions they obtained, I'd wonder why they sounded so insecure about a movie that necessarily couldn't run 200 hours." Ken Kratz, the state's special prosecutor in the case, argues that the documentary leaves out important information from the trial. Defense attorney Jerry Buting disagrees. "The state is now trying to make that a lot of these pieces that weren't in the movie [were] more sinister than they really were." Like Serial before it, Making a Murderer is proving to be a phenomenon. The case has earned the nation's attention as new developments and insights about the case seem to be produced almost daily since the launch of the documentary series. Making a Murderer is available for streaming on Netflix. 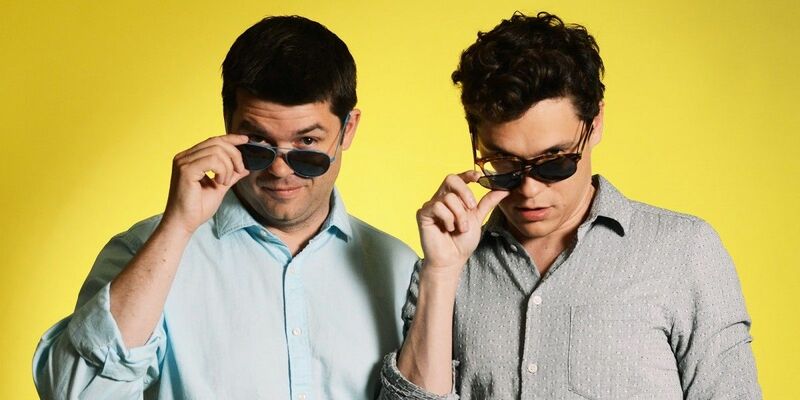 FOX has ordered yet another series from creators Phil Lord and Chris Miller, this newest project a currently untitled comedy centered around time-travel. The series, originally titled In Time, was written by Julius Sharpe (Family Guy). The single-camera comedy stars three friends who somehow manage to travel through time. The three irreversibly alter their personal lives in 2016 as they try to balance their mundane lives with the thrill of time-travel, but their encounters with iconic moments through history are where disaster truly strikes. The new pilot, the network's first thirty minute pilot of 2016, will be produced by Lord, Miller, and Sharpe. The news comes just two months after FOX ordered Son of Zorn, starring Jason Sudeikis, from producers Lord and Miller. The pair are under an overall deal with 20th Century Fox TV where they recently optioned the rights to the phenomenal podcast Serial. Hulu has released the first trailer for their upcoming original drama The Path. The series stars Aaron Paul (Breaking Bad) and Michelle Monaghan (True Detective) as a couple who find themselves at the center of the controversial Myerist Movement — widely considered to be a cult. The two will face the ordinary problems of a relationship, but while also struggling with the ramifications of their involvement with the members of the movement. The trailer is light on story elements, but it gives a good sense of the overall somber mood and quiet intensity of the show. The series also stars Hugh Dancy (Hannibal) as the leader of the cult. The series was created by Jessica Goldberg (Parenthood) and produced by Friday Night Lights creator Jason Katims and his production company, True Jack Productions. An impressive team of television veterans are behind this project, making it one of the most highly anticipated new series of the year. 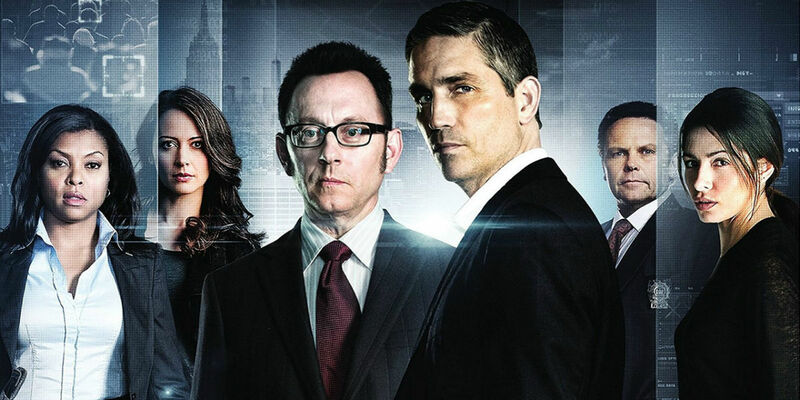 Person of Interest comes to a close this spring, with the premiere of the fifth and final season. The series' numbers have been waning, prompting CBS to give the series a reduced, 13-episode order for season five. The final season has not yet been scheduled by the network, but CBS president Glenn Geller has confirmed that the show will be airing in the spring rather than being held for summer. "My guess is it is the final season. The only heartbreak there is how much good story there was to come if it were to have continued... [executive producers] Jonah Nolan and Greg Plageman have done such an amazing job on the show. We don't have a schedule, but I know these episodes will see the light of day. People will get to see these episodes. It's worth nothing that there has yet to be official confirmation from CBS that the show will end. Person of Interest returns to CBS in Spring of 2016. The trailers for Love introduce the two leads, Gus (Paul Rust) and Mickey (Gillian Jacobs). Gus is portrayed as an awkward guy with no luck in the relationship department. Mickey similarly lacks that luck, but that's where their similarities come to an end. Where Gus is introverted and quiet, Mickey is loud and ready to embrace her life. The two make an unlikely pair, but their growing relationship has potential for both comedy and drama. The series follows the two as they "navigate the exhilaration and humiliations of intimacy, commitment and other things they were hoping to avoid." The upcoming comedy was created and written by Judd Apatow, Paul Rust, and Lesley Arfin. FOX has announced their renewal of Empire for season 3. The series premiered with incredible ratings for its first season and while the second season didn't quite reach the same heights, Empire was still the top-rated series on FOX in the winter of 2015. The musical drama from Lee Daniels chronicles the rise and fall of the family in charge of Empire Entertainment. Series star Taraji P. Henson's recently took home the Golden Globe for Best Actress in a TV Series, Drama. While the renewal of Empire isn't a surprise, Scream Queens being renewed for a second season was a bit more unexpected. The series' live ratings were relatively low, averaging only 2.8 million viewers per episode. However, the delayed viewing numbers showed a 167% increase over the live viewers, bringing the viewership to approximately 7.2 million. Series creator Ryan Murphy revealed that the next season would not take place on a college campus, instead moving to a hospital populated by bizarre medical cases. It's unknown if any of the season one cast will be returning for season 2. Empire returns to Fox on March 30th, 2016. Anne of Green Gables, a classic children's novel, is being reimagined for television as Anne. Written by Breaking Bad writer Moira Walley-Beckett, the adaptation will run for eight episodes on CBC (Canada's public broadcasting network) sometime in 2017. The series will follow the titular Anne, an orphan who moves between foster homes and orphanages in her youth. In time, she is mistakenly sent to live with the elderly siblings Matthew and Marilla Cuthbert, who intended to adopt a boy to help on their farm. The story chronicles their growth as a family unit, as well as Anne's blossoming relationship with the residents in the small village. "Adapting Anne's story really excites me. Anne's issues are contemporary issues: feminism, prejudice, bullying and a desire to belong. The stakes are high and her emotional journey is tumultuous. I'm thrilled to delve deeply into this resonant story, push the boundaries and give it new life." Emmy Award-wining producer Mark Burnett, the producer of such hits as Survivor and The Voice, has created an unscripted dating series for FOX. Debuting this year, the currently untitled project will run for 10 episodes. The series will take place in the Caribbean and attempts to bring the instant "yes or no" connections found through apps such as Tinder to life. The drama that will draw in viewers comes from whether or not these instantly matched couples have the compatibility to make the relationship last. "I am so happy to be making my first dating series with FOX. It's a genre that attracts a wide audience and our series gives a very fresh perspective that mirrors real life." Further details about the upcoming series are expected at a later date. HBO has released a new, tongue-in-cheek teaser for the upcoming third season of Last Week Tonight With John Oliver. The promo consists solely of John Oliver facing criticisms from a number of sources about his show, including Donald Trump, Jack Warner and Cher. Most are comments about the comedian's show, but Cher's comments are directed at the host's appearance. Oliver jokingly agrees with the criticisms of his show, but to be fair the sources of the criticisms come largely from people who have been discussed on the show. In October, Oliver said Trump was "an open book" and "that book doesn't have many interesting words in it," so it's not surprising to find the candidate on the list of the show's critics. For those who enjoy Oliver's brand of humor, this season looks to be more of the same. Last Week Tonight with John Oliver returns to HBO on February 14th, 2016. The new teaser for Bates Motel promises to bring the series in line with the film Psycho over the next two seasons. Featuring a cover version of "Where Did Our Love Go", slowed down and appropriately creepy, the video shows scenes through one of the peepholes in the Bates Motel. There's a shot of Norman Bates (Freddie Highmore) reaching out for his falling mother (Vera Farmiga) while crying out for her. The end of the trailer features the season's new tagline: "we all go a little mad sometimes." The line was featured in the original 1960 Psycho, uttered by the adult Norman Bates (Anthony Perkins). There's a further parallel between the teaser and the film with the scene of blood flowing down a drain. These intentional references indicate that the prequel series Bates Motel may finally be drawing to a close at the end of season 5.